In the packing: capsules in a cardboard box. 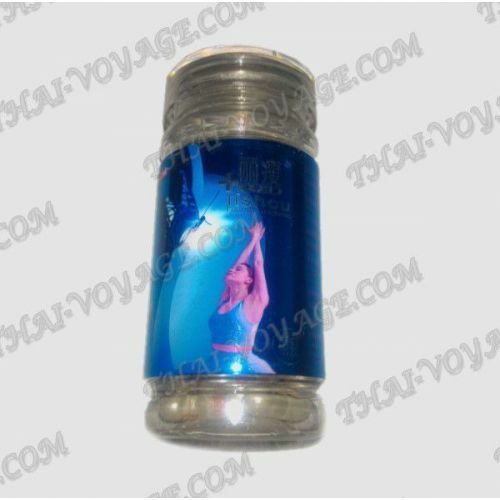 Without packing: capsules without cardboard box. eliminate the long-term deferred fats. Production of capsules for weight loss Lishou (Lishou) is under control and in line with international GMP standards. This product is made using the latest sophisticated technology. The drug does not cause side effects. All ingredients from natural sources and do not contain chemical additives. The capsules have a whole range of actions aimed at reducing the weight and volume of the body. Significant reduction of appetite and suppress the desire to eat sweet and rich foods, which allows to establish a normal balanced diet. The capsules are gradually transferred the body to accelerate the metabolism that does not lead to dehydration and dramatic weight loss, which in turn prevents the appearance of unwanted stretch marks and sagging skin. Capsules effectively cleave the accumulated body fat, releasing large amounts of energy. Each capsule provides a long-term effect up to 48 hours, which makes it possible to adjust the intensity of the rate of weight loss. Lishou Capsules do not have to gut a laxative or fixing activities do not violate its normal functioning, regulate metabolism and supports skin toning. In this preparation the main active ingredient is the unique vegetable derivatives - dyphylline and capsaicin extract Fulin, who enjoy public recognition medicine for a thousand years, and received improved, thanks to modern technology. Chinese bitter fruit extract (extract of Chinese bitter fruit). This composition, and provides the most powerful fat burning formulation Lishou action. The extract of bitter orange contains a large number of chemical compounds synephrine, which is involved in the process of splitting fat cells and translate them into energy. Synephrine effect similar to the effect of ephedrine, banned in many countries, however, synephrine does not cause side effects in the nervous and cardiovascular systems, so using it is completely harmless and capsules can be used by different age groups of people. Senna, a member of Lishou normalizes the gastrointestinal tract without causing any laxative or locking action. Other components Lishou reinforce the process of lipolysis, or contribute to this, as well as normalize the overall metabolism in the body. Application: The capsules should be taken once a day, one at a time, in the morning before breakfast with a glass of warm boiled water (about 200 ml). Within an hour after taking the need to tightly breakfast. Be sure to increase the amount of consumed water per day per liter. If you lead a sedentary lifestyle, without additional exercise, the Lishou Capsules should be taken at least 14 - 16 hours before bedtime, in case of deviation from this reception time, you may experience insomnia, because not spent the amount of energy, formed as a result of splitting fat. The course of Lishou Capsules (Lishou) for 40 days (one capsule). One pack of Lishou Capsules can reduce your weight by 30 to 80%, this figure is individual and depends on your body and on how much you will strictly adhere to the recommendations on the application. Lishou Slimming Capsules suitable for use in any age, perfect for women older than 30 years. Even if your previous attempts were unsuccessful weight loss, Lishou Capsules provide you the desired result. Contraindications: cardiovascular disease, pregnancy and lactation, apoplexy, individual intolerance of components. Before applying are encouraged to consult with a specialist. The package of 40 capsules. Composition of the product Tuckahoe, Lotus, Bitter Orange Fruit, Cassia seed, Lotus leaf, From generation to generation flower, Poria , Coix Seed, Honey, Senna, Chinese bitter fruit extract.